NSW Origin legend Tommy Raudonikis had a message for his old mate and Queensland adversary Arthur Beetson as he pointed towards the sky in Ballina yesterday. "Arthur, you promise me one thing and look after Jakey now," Raudonikis said. 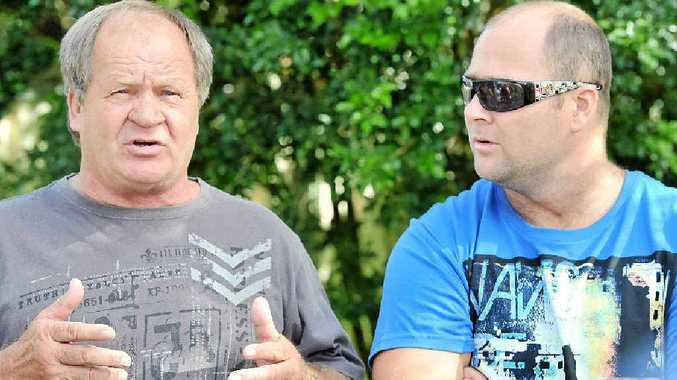 Beetson died of a heart attack in 2011 and yesterday Raudonikis had another tragedy to deal with when his 15-year-old grandson Jake Kedzlie was taken off life support in Coffs Harbour. Kedzlie suffered a head injury when trying to make a tackle for Sawtell in a junior rugby league match on Saturday. Raudonikis was in Ballina yesterday where his son Lincoln lives as the pair remembered the teenager. Lincoln Raudonikis has played and coached rugby league teams in Ballina and Byron Bay for several years. Jake's mum is Lincoln's youngest sister Corryn and he last saw the teenager when he visited Ballina last weekend. "It was just a tragic accident and that's all there is to it really," Lincoln Raudonikis said. "He loved his footy and was just a regular kid. "He has four brothers and a sister; he was the oldest so he will definitely be missed." Both Lincoln and Tommy had just arrived back to Bal- lina yesterday afternoon and were putting on a brave face as the media circled. Neither of them blamed the game of rugby league for what happened. "There were no penalties or anything like that involved, it was just a freak accident," Tommy Raudonikis said. "You have to let the kids play footy because they love it. "His mother doesn't hold a grudge and she's not dirty on anything or anyone. "She has done it tough but she got through the day. "They've got another week before the funeral so it's going to be pretty hard on them." Jake Kedzlie played representative rugby league in his age division and had been offered a junior contract with the Wests Tigers NSW Rugby League club. Raudonikis believes the teenager would have had a big future in the sport. "He was a lovely kid and always had a football in his hand," he said.